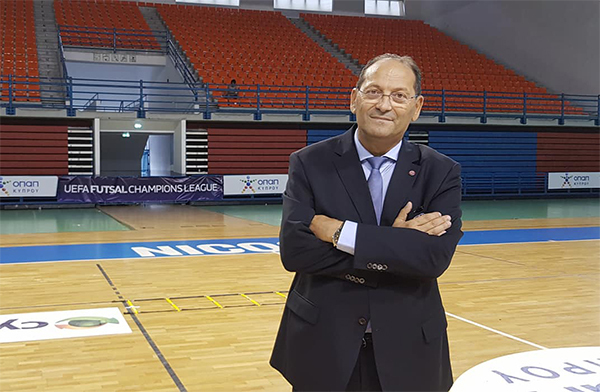 Romania - January 10, 2019 09:00Romanian and international futsal mourningValeriu Ionita passed awayA sad news shocked the worldwide futsal community on January 8th. Our good friend Valeriu Ionita lost his battle against a longtime disease. A battle fought through a perennial smile on his face: with strength, bravery and enthusiasm for life. A constant presence on futsal and beach soccer pitches, after a career as soccer referee, always supporting his beloved selections of Romania, like happened for the last times we were lucky to meet: in Ljubljana for EURO 2018 and in Leganés for the Women's EURO Main Round. 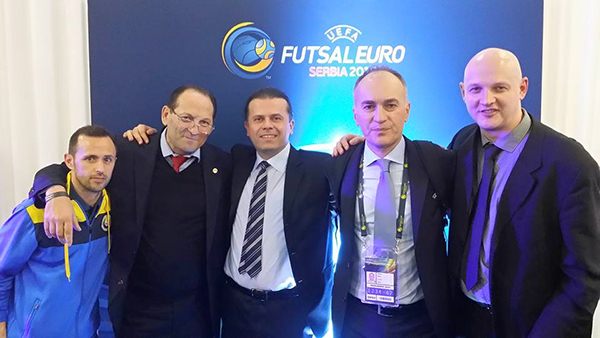 Moving around Europe as UEFA Delegate as well, "Vali" has been a true friend of futsal. Always available and ready to help, planning new challenges for his guys and girls wearing the national teams shirts of Romania. Working hard to push our game forward, as he did for the recent introduction of youth and women selections in his country. We will miss you Vali! May you rest in peace, friend and as you used to say... HAI ROMANIA! We wish to express our condolences to Vali's family and a strong hug.